California’s teacher shortage is only going to grow more problematic unless the state takes action, according to a new report from the Learning Policy Institute. The report, Addressing California’s Emerging Teacher Shortage: An Analysis of Sources and Solutions, analyzes the origins of the shortage and also offers policy recommendations on how to fix it. The report finds the teacher shortage is biggest in the subjects of mathematics, science, and special education and noted that in the 2014-15 school year, districts projected a need for 4,500 special education teachers while only 2,200 new special education credentials were issued. The report also noted an increase in temporary permits, waivers and intern credentials issued and that students of color and in poorer schools were mostly likely to be impacted by the shortage. “The students most affected by teacher shortages are the same ones the state has prioritized for increased funding through California’s new state funding formula,” Roberta Furger, an LPI senior writer, said in a statement. The shortage comes at time that the state has been increasing the education budget. With more money on hand, some districts are looking to bring their staffs back to pre-recession levels, but the state has a long way to go before it reaches a basic level of student-to-teacher ratio, the report states. Reinstate the CalTeach program, which helped recruit teachers from colleges, other careers, and other states; provided them information about how to become credentialed; and directed them to preparation programs and districts so that entry into the profession was made simpler and more supported. Create incentives to attract diverse, talented individuals to teach in high-need locations and fields by funding candidates who prepare and teach in such schools and subject areas. Increase access to high-quality preparation programs that support teacher success in high-need districts and fields. 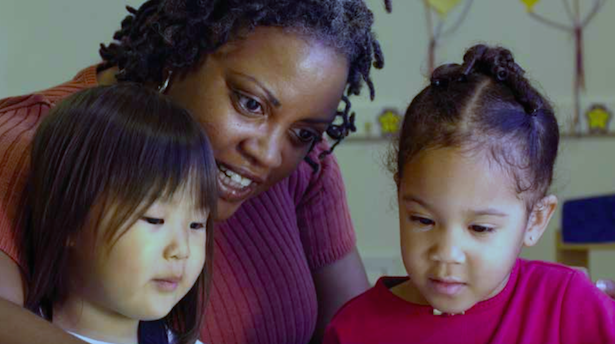 Ensure that all beginning teachers have access to a high-quality support and mentoring program that can reduce early attrition and enhance competence, such as is available through well-designed Beginning Teacher Support and Assessment programs. Provide incentives that support teachers’ ability to stay in or re-enter the profession through strategies like mortgage guarantees for housing, ease of credential renewal, streamlined reciprocity with other states, and opportunities to continue teaching and mentoring after retirement.